Take aim at spares with the Motiv Hyper Sniper. Motiv has improved upon the original Sniper and the Arctic Sniper by using TruShot Polythane coverstock technology on the Hyper Sniper. This coverstock offers the best of polyester and urethane by providing performance and durability respectively. 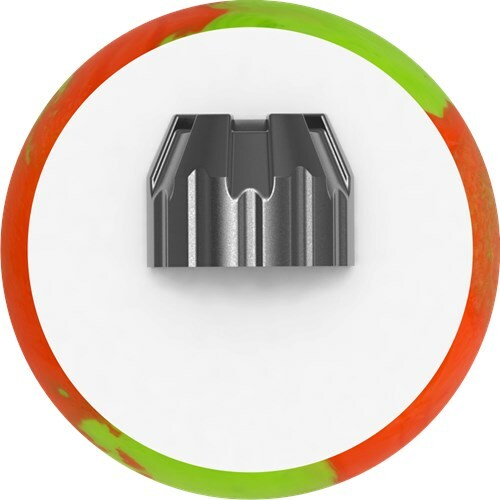 The Hollow Point core continues to provide sharp shooting accuracy. The bright colors of this ball are sure to be a hit. Are You Sure This Is A Spare Ball!? Alright yesssssss this is a glorified Spare ball for you penny pinches out there BUT this spare ball can hook and strike. This balls color POPS and I love the way it looks I wish all motiv balls look this great. Me as a rev dominate bowler the 10 pins with this ball kills me in those dry conditions so i just break my wrist when the conditions are that dry but mann when the oils is there not a spare i miss. Durability i give this ball a 9/10 only cause it got some (Small)chips but lts out lasted any plastic spare ball I've owned.Takes some time adjusting to this spare ball but the Spare Game is Key to any good bowler. When did this ball hit the shelves? Hi Surge! This ball was released May 2017! When did this ball come out? Hello Surge! This ball came out either late April or early May 2017. Would this ball make a good starter, full only ball? Would this ball work on dry oil? 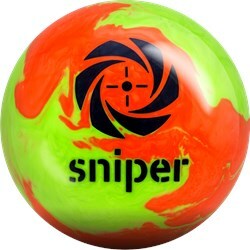 This ball best performs on any lane conditions. This ball is best used as a spare ball on any kind of oil, it you're on really dry and short oil without a Urethane ball, take a 500 grit pad to it and it should work just fine. Due to the time it takes to produce the Motiv Hyper Sniper ball it will ship in immediately. We cannot ship this ball outside the United States.